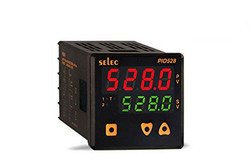 Temperature Range: -50 Degree C to +50 Dgree C.
Delta's DT series temperature controller has fast output response, accurate PID parameter auto-tuning, support modbus communication protocol and is built-in with various output types, allowing different systems to reach a stable control status very quickly. Besides, all series are complied with international installation dimension and international safety approvals. Backed by profound experience of our experts, we are an unparalleled name engaged in providing high quality assortment of Temperature Controller. We are leading manufacturer, trader, exporter in north India, Punjab and Ludhiana. One of the leading manufacturer of process controllers from india with ce & ul marked product range. Temperature Controllers has been supplied worldwide with fully automated testing technology / machinery /plant. Digital Temperature Controllers for all thermocouples, RTD`s & Analog inputs. plz confirm application when order. This project controls the temperature level of spa room with preset able control and maintains the temperature by cut off / on the unit. 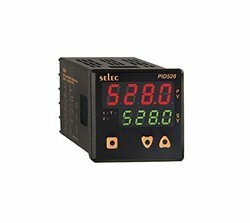 Adhering to the industry standards and norms for qualitative production, we have successfully attained the name of reliable entity to offer an optimum quality Multichannel Module Type PID Temperature Controllers. These controllers are available in various technical specifications as per the requirements of our valuable clients.